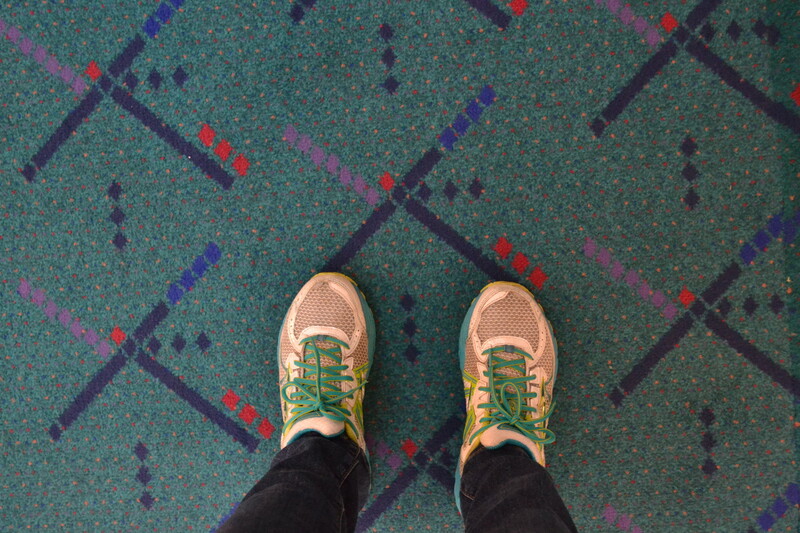 In my 22 years of flying in and out of Portland, OR, I was never aware of the popularity and following enjoyed by, of all things, the carpet at PDX. 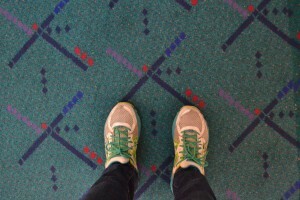 I was alerted to it by a recent article in the New York Times titled, “It’s Curtains for the Carpet,” (love it) in which I learned that the PDX carpet was being replaced, and many people were, apparently, distraught. If you’ve become attached to this pattern and don’t want to see it disappear: good news! It seems the pattern has become somewhat of a Portland icon and will live on in the form of socks, t-shirts and other locally made goods. Sound enticing? I guess you’ll just have to visit Portland! The carpet renovation is happening throughout 2015 and is meant to be finished before the holiday season. That means if you hurry, you may still be able to catch a glimpse of it in its natural habitat.